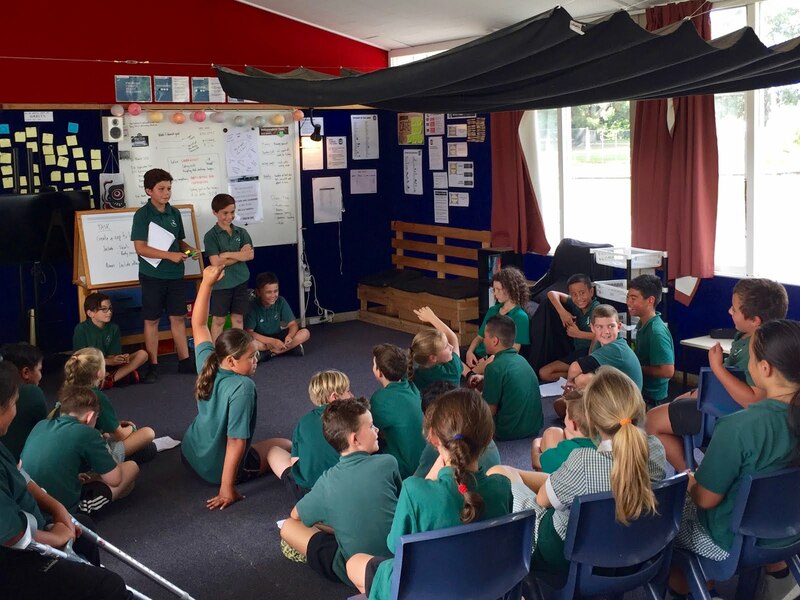 Yesterday we had an interesting day where all of the children in Koru 1 were involved in an integrated project day. Those with Mrs Harris were exploring geometry through dance, while Mr K's group were exploring the effects of music. At the beginning of the day with Mr K, he explained the following values and key competency focus areas for us to think about, as we would be reflecting on these later on. We then listened to various pieces of music, discussing how they made us feel, what instruments we heard, and key words to describe them. We used the All Right resource here for part of the session. It was great to discuss the older music in particular, as we realised that we love a lot of old songs as much as we enjoy newer ones that are hot on the radio right now. 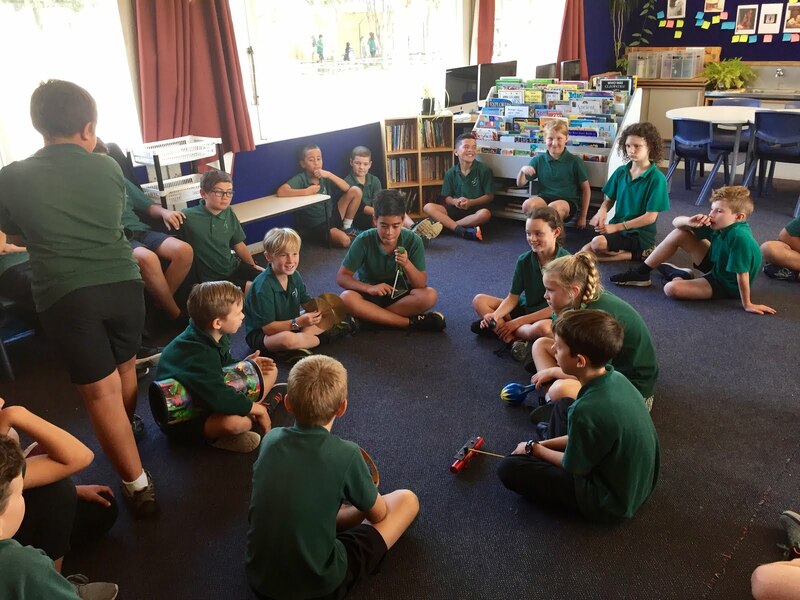 Another important thing we noticed was that we each share similarities as well as differences in our music preferences, and that is ok.
After morning tea, we made improvisation circles. These involved percussion instruments at first, and later pitched instruments like guitars, ukuleles and recorders. A similar set up is explained here. Many of us had little experience playing instruments and keeping a beat, but it was lots of fun and also interesting exploring how we can use our bodies in different ways to make sound. 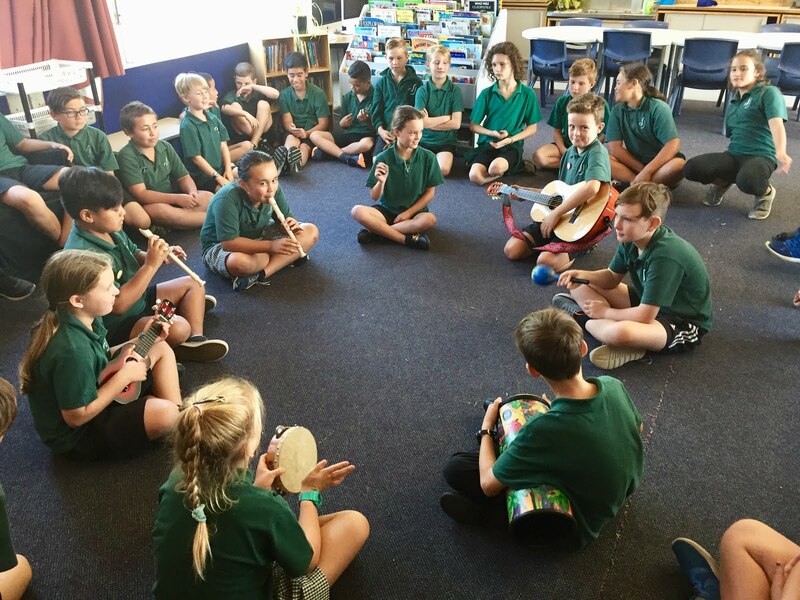 We had a conductor (Mr K at first, then students later) who walked around the group tapping musicians on the back for them to join in, then tapping them again to stop. This allowed the conductor to 'conduct' the band. For the last session of the day we were given a group project. We first listened to a rap about learning our 2 times tables on this website. Our task was to write the rest of the rap, and create a performance in our small group for the rest of the larger group that also included vocals and body percussion. 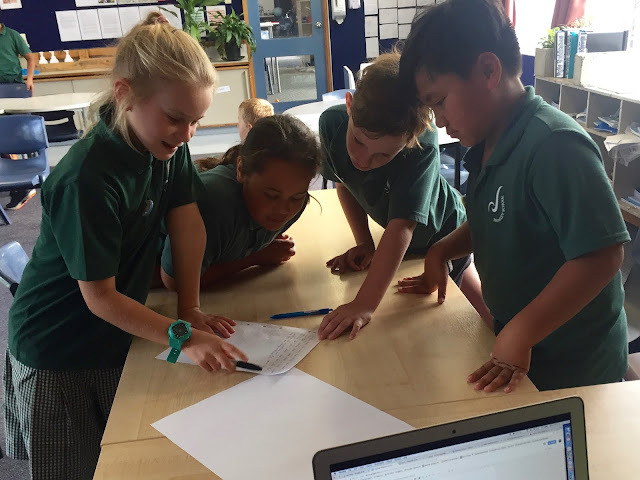 There were some nervous performers, but it was wonderful to see everyone give the task a go. Next week we will be writing a recount of the day that includes how we felt we showed we were courageous, and participated and contributed. These will be published on our individual blogs.